Issey Miyake is a Japanese fashion designer known for his approach in using technology to produce innovative garment construction – the fabric is not cut or sewn but folded into geometric shapes that unfold to create beautiful silhouettes on a body and can change with movement. The Miyake Saber was very much inspired by the Issey Miyake Bao Bao and the simple idea of ‘accidental’ shape where basic pieces of material make up the whole form. We have great respect for Miyake’s passion for using technology to explore new materials, processes and fresh ways of constructing a piece of garment. His famous Bao Bao bag is exemplary of this innovative thinking. The Miyake Saber drew inspiration from this intriguing form study of how different pieces come together to create an interesting form that looks rigid but flexible to the touch at the same time. In a similar way, the hilt is an almost circular shape made of facets with the little intersections between the pieces becoming grippable areas when you hold it. 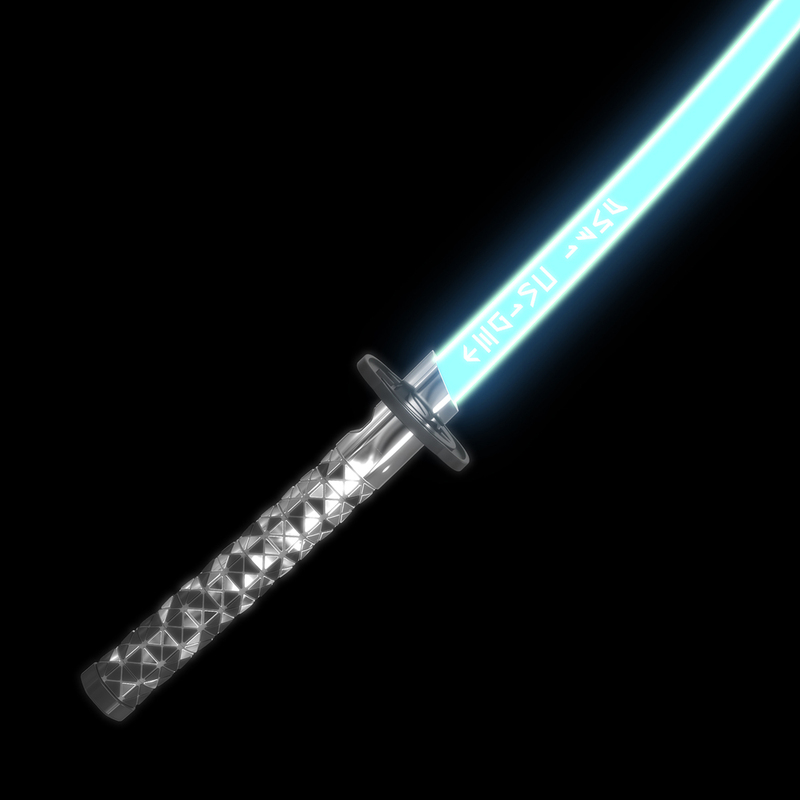 The overall curvature of the Miyake Saber also honors the iconic form of a Japanese Katana sword. 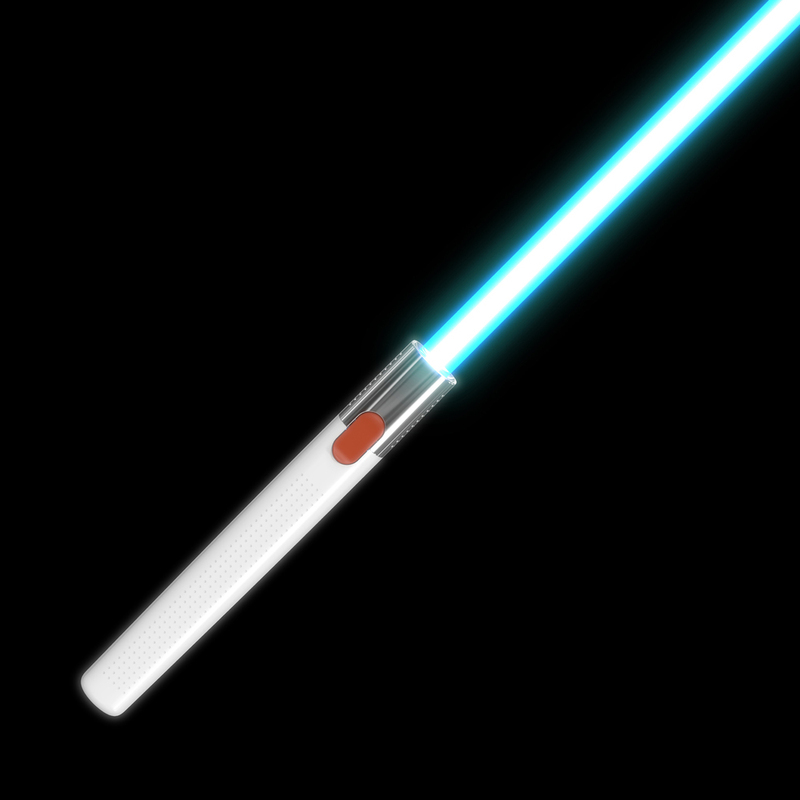 We took the liberty of using the curved blade to become the plasma on the Miyake Saber. On the blade is the Aurebesh characters for "Jedi Knight". Born in Hiroshima in 1938, Issey Miyake is considered the father of Japanese fashion. Not only did he present a completely new way of approaching garment construction – flat shapes with few, if any, seams, which adjusted entirely to the wearer's body – he also brought Japan from fashion obscurity to the very forefront of contemporary fashion design. Issey’s approach to designing clothes is like that of a product designer. His process entails a long period of research into materials, manufacturing techniques and a continuous dialogue between him and his team. Issey Miyake officially retired from design in 1997 but continues to oversee all the lines in the company. He has a compulsion to innovate and explore – this is part of the success of his brand and also why he continues to work. 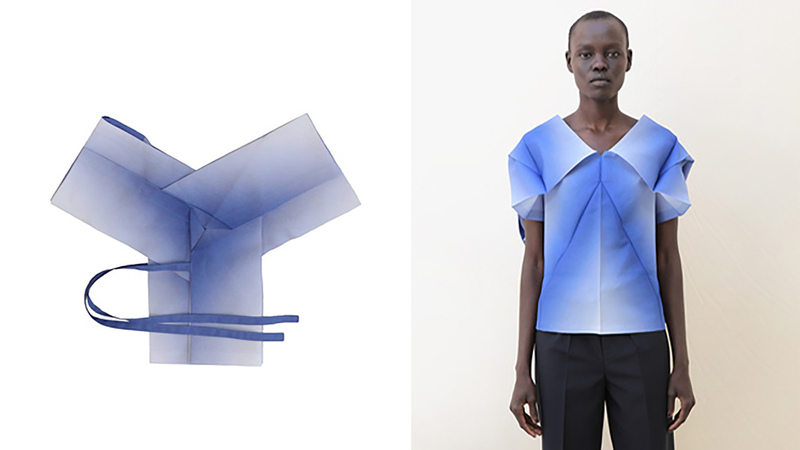 Now at 72, the designer is launching a new line of clothes that can best be described as wearable origami: 132 5. The project is born out of a desire to conserve what's left of traditional Japanese textile manufacturing.